Happy Hump Day! 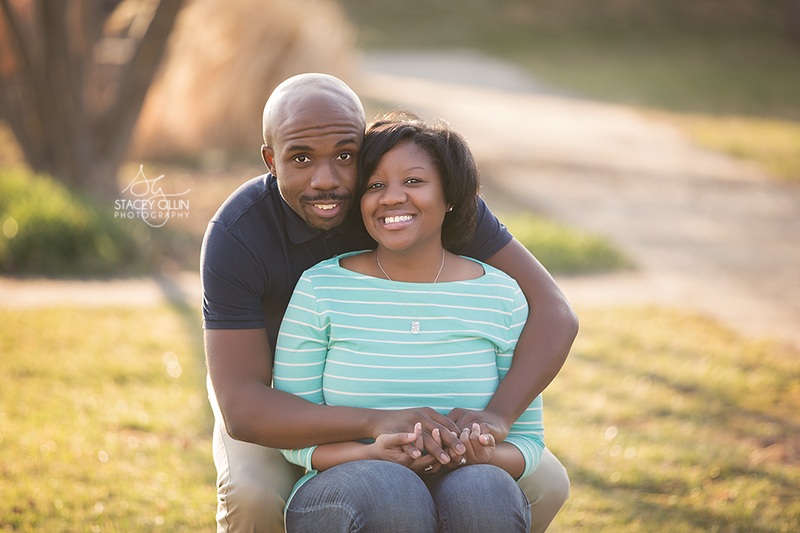 Per usual, I’m linking up with Jordon and Meredith for Wedding Wednesday! 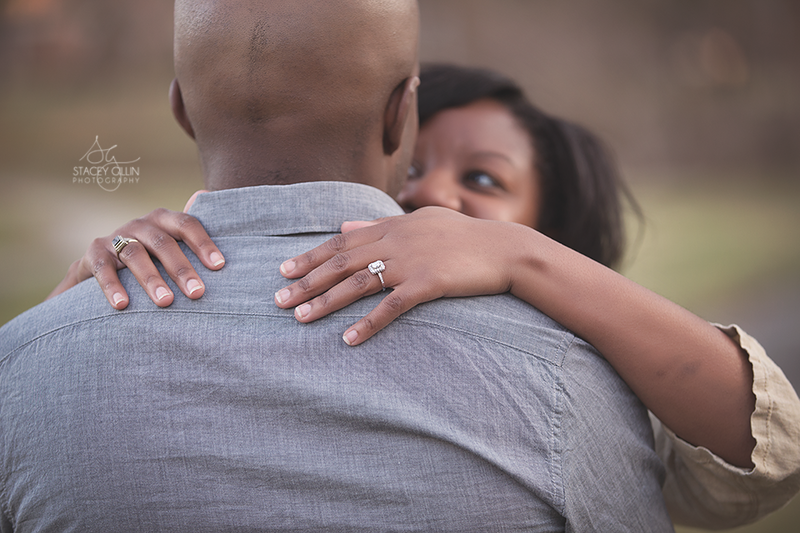 I thought today I’d share a few pics from our engagement shoot. Since K and I didn’t settle on our photographer until late December, we decided to do our engagement shoot once the weather got warm again. So we did our shoot about a month ago, about ten minutes away from our venue. 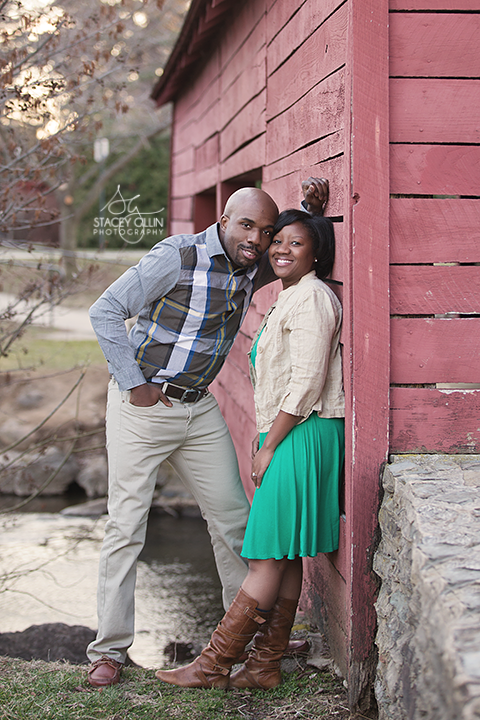 It was really fun getting to know our photographer, Stacey, and we’re so excited to have her shoot the big day! The weather was super windy the day we shot and so my hair looked crazy pretty much the whole time. But, we still had some great shots. 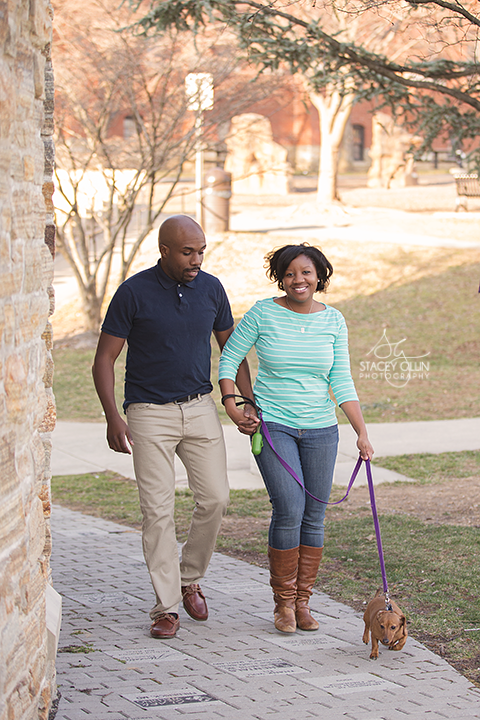 I love the shots with Sasha, because that’s pretty much how it always looks like when we walk her. This next picture below is one of my favorites from the day. I saw this covered bridge online and thought it looked like a little barn. We were able to track it down and get a few pictures using it. I also LOVE this next picture. I think it’s just really cool photography and love how it turned out. Since we obviously didn’t include these pictures in any save the dates, we will frame a few and put them on display at the wedding. 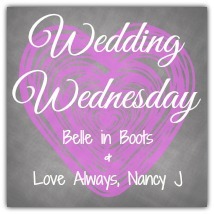 Happy Wednesday and don’t forget to visit the other blogs in this linkup! What did you do with your engagement pictures? The photos are beautiful! I was a bit meh on engagement photos but I actually am really glad we did them because it allowed us to get to know our photographer and get comfortable with her and the camera. I don’t think our wedding photos would have turned out as nice if we hadn’t had the engagement shoot. We framed some of ours to display at the wedding too. yes, i agree 100%. the chance to get to feel comfortable with our photographer was by the best part of the day. and it was just plain fun! What beautiful pictures! I am assuming Sasha is your dog? Too bad we didn’t get to see her in the shot! In anycase, the two of you look fabulous! You will make one stunning bride and groom! Meranda@fairytalesandfitness recently posted…On My Way! Aww, glad that Sasha was able to make an appearance. I didn’t even realize she was suppose to be in that first picture! ( but than again I was reading it on my phone, so it’s not hard to miss stuff on a smaller screen)! Too cute! What beautiful pictures! I’m sure you and your family will treasure them in the years to come. Gorgeous photos, Courtney! I absolutely love them! We did our engagement shoot about two months before our wedding – after our invitations even went out – so we framed some of them and put them on the placecard table at our reception. We also used many of them in our guest book since our photographer made our guest book for us. Oh! I love the idea of using some of them in the guestbook. That’s a great tip! You two are just the cutest!!! much love to you both. These are GREAT photos!! my favorite is the water reflection, that’s simply awesome! You both look so happy 🙂 And I have to say, aqua is a fantastic color on you! Congratulations! Great photos! You look amazing, I love the wind-blown hair, actually! Oh my gosh, what beautiful photos!! I love that you included your dog, too!! My favorite is definitely the last one with the reflection, or the second to last one, showing off your ring 🙂 Stopping by from Wedding Wednesday! thanks meg for stopping by — and yes, i love the reflection pic as well — it’s just so cool! These are AMAZING!!! You guys look so happy!!! thanks rose — it was a really fun day! These are GORGEOUS Courtney! Thank you for sharing! Love them so much! I’m so excited for you guys! 2. Your fiance is hot!! 3. 4. 5. I love your ring, your cute dog, and these amazing pictures!! LOL – thanks girl 🙂 I agree with all those things! Michelle @Baby Blues to Running Shoes recently posted…What is your why? Wow beautiful photos!! I am loving the reflection pic! I love your photos and especially the ones that include your cute little dog! However, my favorite is definitely the one of the water with reflection. Just beautiful! Isn’t Sasha the cutest?? 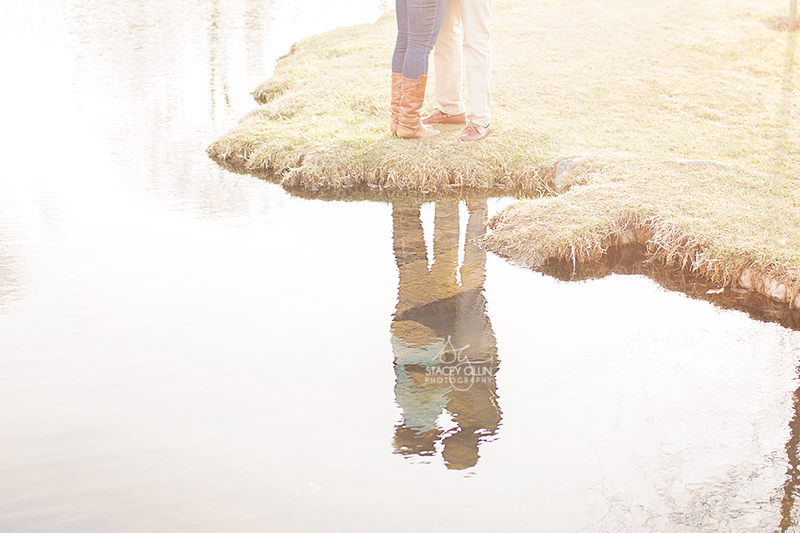 But yes, the water reflection picture was so well done — our photographer is amazing! These pics are absolutely amazing and put a huge smile on my face. It shows through so clearly how much you two love each other! Oh, thank you so much Sara — we had so much fun during this shoot! These photos are beautiful! You two make a great looking couple! Y’all are just precious. Also, will you please dress me for my engagement shoots?! 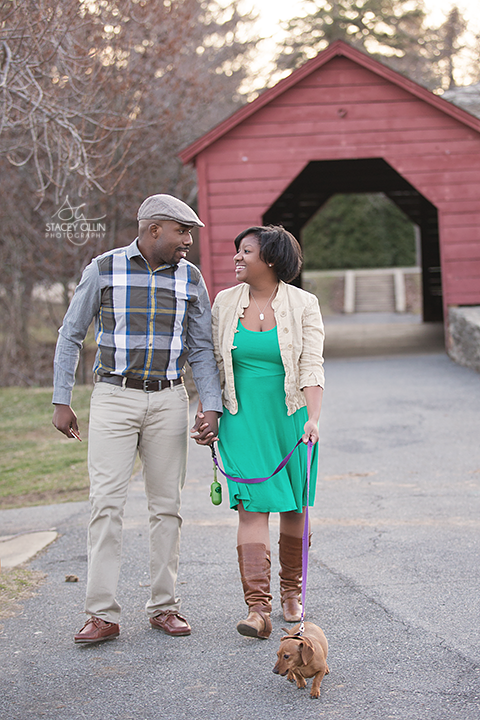 YESS for having the dog in the engagement photos!! And that picture over the water is incredible! I love it you guys look adorable! Beautiful couple. Oh, these are great! I do love the last one, but I also love how happy you both look in the others!